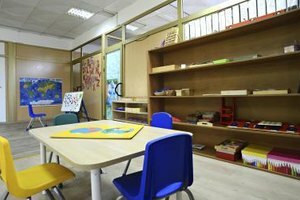 An attractive and welcoming look to a preschool classroom might seem like the most important aspect of creating a learning space, but the way your classroom is arranged is actually more crucial. For example, well-organized shelves allow students to find materials more easily so they can stay on task, and leaving plenty of open space encourages students to move around freely as they explore and learn. 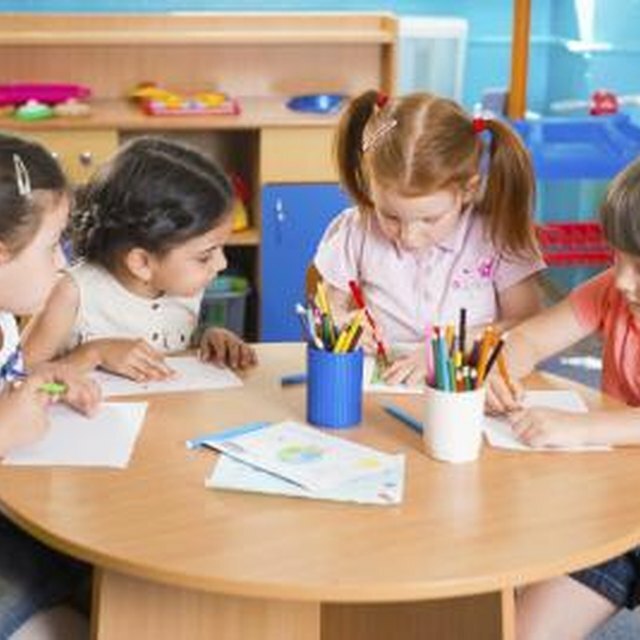 Keep a few things in mind as you're arranging your classroom, and your preschoolers will enjoy being in the room learning, playing and making friends. Set up an area for each child to store their belongings, such as coats, lunches and backpacks. It helps each child feel like they belong in the class if they have their own space. Put this space near the door to allow the children to easily put up their belongs when they arrive. Decorate the walls with interesting posters and educational bulletin boards. Be sure to include numbers, alphabets and color posters on the wall. Plan to rotate the decorations throughout the year based on the seasons and what the class is studying. Leave space to hang up artwork created by the children. Create an area for circle time. This area should be on a carpet surface and should have enough room for the entire class to sit comfortably. Sit upons or carpet squares are often good additions for a circle time area because they help the child stay seated. Set up an arts and crafts area. This area should have a floor that is easy to clean up and have tables to work at. There should also be adequate storage area for supplies and a space for artwork to dry, such as a drying rack or additional table. It is helpful to have a sink in this area for easy cleanup. Make a reading corner. Provide a bookshelf that is low enough for children to access all shelves and stock them with favorite preschool books. Be sure to have pillows or comfy chairs. Set up several centers throughout the room. 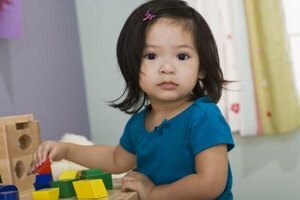 Provide enough space and materials at each center so two to three children can work at a center. Some common centers are music, dramatic play, science, math/manipulative, building and housekeeping. Music centers can contain headphones and CD's for children to listen to music. 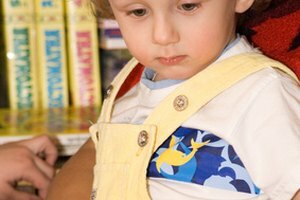 Provide dress up clothes and accessories at the dramatic play center. Legos, building blocks, and Kapla blocks are popular choices for a building center. A housekeeping center can include a play kitchen, shopping carts and pretend cleaning supplies. The science center can include magnifying glasses to look at items such as rocks, leaves and other collectibles. Put items to count, number cards, linking cubes and pattern blocks in the math center. Be sure to provide storage containers and hooks so that the children can help clean up the centers. Gregory, Jennifer. 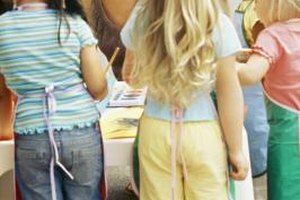 "How to Arrange a Preschool Classroom." Synonym, https://classroom.synonym.com/arrange-preschool-classroom-4499359.html. Accessed 22 April 2019.